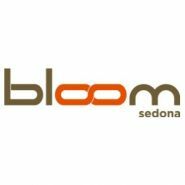 Bloom is Sedona's ONLY State Licensed Dispensary, serving all patients with valid Arizona Medical Marijuana cards. Bloom is committed to providing high quality medical marijuana to our patients. The healing atmosphere in our dispensaries represents what we believe answers the needs of Arizona patients. With the Arizona Medical Marijuana Act (citizen initiative Proposition 203) as our guide, we empower patients with the quality of life they deserve through compassion, professionalism, and services beyond what a typical dispensary provides. We are located in beautiful uptown Sedona on Jordan Rd, next to Takashi Japanese Restaurant. Please take advantage of our discreet parking in the Takashi parking lot behind Jordan Rd and walk through the courtyard.